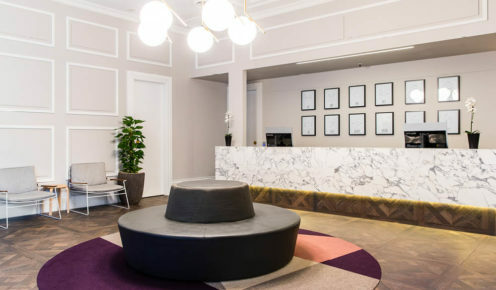 The Ultimo – the world’s first astrology hotel – has opened in Sydney. Imogen Eveson checked in to have her chart done. They had me at ‘world’s first astrology hotel’.On first glance, admittedly, the Ultimo Hotel’s strapline does read a little like a gimmick. But as someone with a casual interest in the zodiac, my curiosity was piqued all the same. The concept has been developed with Damian Rocks, of astrology and wellness company Stars Like You, and its execution plays off the boutique hotel’s urban location in Sydney’s Chinatown district (close to Central Station, Darling Harbour and the CBD). I opted for the ‘Star Chart’ package, and provided details of my time and place of birth when booking. It results in a Sagittarius-geared city guide to ‘Gastrology’ (where to eat and drink) and ‘Explorology’ (things to see and do) in Sydney, and a copy of my astrological birth chart, prepared by Rocks, waiting for me on arrival. For those who book the ‘Off the Chart’ package, it acts as a precursor to a personalised consultation. The astrology element is also discreetly worked into the design and feel of the hotel. 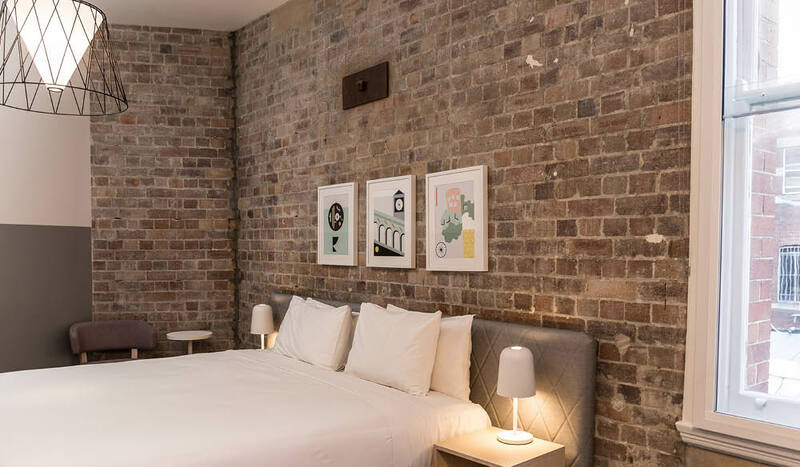 The Ultimo, opened in February 2017 and part of the boutique hotel group 8Hotels, is based in a heritage-listed building and its recent renovations both modernised the building and revealed more of its warehouse character. It is this – rather than any new age aesthetic – that shines through across the public areas and the 95 rooms. At reception, graphic illustrations depicting the 12 sun signs hang behind the desk; but otherwise the space feels slick and contemporary, with cool tones and cool music. I had wondered what sort of people might be drawn to stay at an astrology hotel, but unsatisfyingly there is no one here to pigeonhole. Instead, guests are a mix of tourists and businesspeople, plus my own personal sceptic – I’d brought along my Capricorn boyfriend for balance. 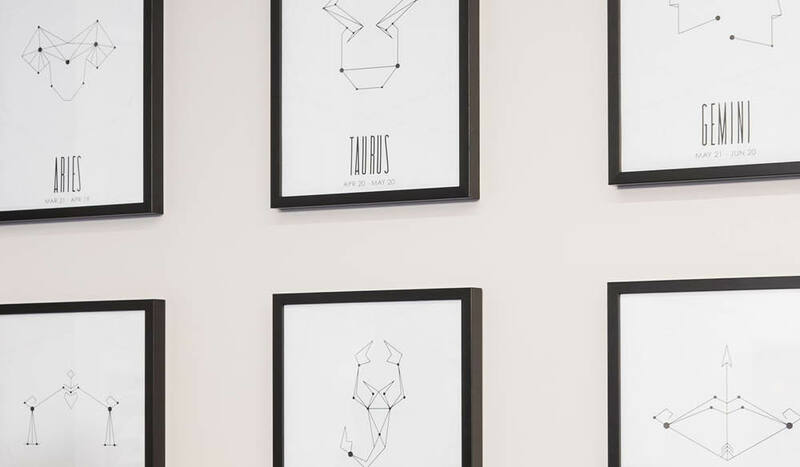 The room feels fresh and modern – decorated in shades of grey and white, with shots of colour via illustrations by Jodi Clark and a geometric lampshade to match the spiky style of the astrology artwork. The exposed brick, slightly slanting wall and uneven floor charmingly belie the building’s industrial past. The king-size bed is comfortable, the bathroom neat and functional, and the large balcony that overlooks the hubbub of the city is a bonus: soaking up some evening sun while perusing my chart is a pleasure. There is a flat screen TV and free wi-fi, but for a four-star hotel, the facilities are otherwise fairly minimal: no iron, for instance, which could be an issue for those staying in the city on business. The extra details however – like personalised ‘Do not disturb’ signs and daily horoscopes with your newspaper – are fun touches. When it’s time to venture out in the evening, we heed the advice of my Sagittarius city guide and head to an art gallery. In the morning we pick up a takeaway coffee from the lobby’s barista station; and check out the 12 blends of ‘Astrolo-tea’ also on offer. Ultimately the two of us – believer and sceptic – have enjoyed our stay; The Ultimo strikes a good balance. It’s an ideal urban hotel to use as a launch pad for the city, with a whole extra dimension to engage in should the mood take you. 37 Ultimo Road, Sydney, NSW. Verdict: A novel concept that doesn’t take itself too seriously and blends surprisingly well with the cool urban hotel vibe that’s going on here. We rated: The balance struck between concept and form that believers, the curious and sceptics alike can enjoy. We’d change: A few more mod-cons for your money would be nice; or perhaps complimentary coffee in the morning (instead of standard cafe prices). Notes: We paid $276 for an Ultimo Queen room with one ‘Star Chart’ package, but were upgraded to a top floor Ultimo Courtyard room – which (incidentally) can accommodate pets. Rooms can be booked with or without ‘Star Chart’ or ‘Off the Charts’ packages for each guest, and prices vary accordingly.